STRATFORD, CT – In conjunction with Connecticut’s Beardsley Zoo, Stacey Marcell, licensed arborist and owner of Northeast Horticultural Services, donate her time to help Timothy Michael Burke, Eagle Scout candidate and his Troop 68, from Trumbull, CT to master skills in horticulture and plant care on Saturday, May 24, 2008, at Connecticut’s Beardsley Zoo. As part of his application to receive his Eagle Scout Badge, Timothy elected to revitalize the Wetlands Aviary in Connecticut’s Beardsley Zoo. He identified several problems that required the removal of non-native invasive plants and replace them with native species that are more ecologically accurate and sustainable. Due to the size of the area and the costs involved with obtaining plants and materials, Timothy expected the project to take the rest of the summer. A strong supporter of the Scouts, Stacey Marcell stepped in and happily donated $3,000 in shrubs and trees. Additionally, she and two members of her crew donated their time to work with the troop and complete the project in one day. “I was eager to get involved, because my grandfather was an Eagle Scout and I am excited to hopefully have my son, Cameron, follow in his same footsteps.” says Stacey. Stacey worked with Tim to evaluate the environment and prepare the area by raking dead leaves, removing debris, pruning the existing trees, removing dead plants and transplanting shrubs that required better placement to thrive. Each step of the way, she brought the troops together to teach them about the plants she selected which were Ink Berry, Atlantic White Cedar, Red Cardinal Flowers and Native Azaleas, why she selected them and how to properly place them in a balanced environment where they don’t compete for the sun and other nutrients. 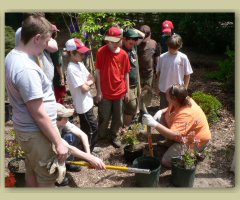 Scouts assisted with all the activities, including pruning, digging holes, watering and plant placement. Stacey even recruited her friends from Northeast Tree Service to bring in a bucket truck to help prune the large trees blocking the sun from the Aviary. Once the area was ready, Stacey showed the Scouts how to organize the landscape to enrich the growth of the plants, while creating a picturesque design. “I’m really glad I was able to share with the scouts my passion for plant and tree care and hope I was able to instill in them how to be good stewards of the land. Horticulture goes beyond the basics of how to plant a tree. My goal was to help them realize that plant care is not only a science, but it is also an art form. It requires a deep understanding of how the right combination of shrubs, trees and plants maximize the health, well being and beauty of the property in which they are grown.” says Stacey Marcell. The help that Timothy received from Stacey and Northeast Horticultural Services far exceeded his expectations. Together, they were able to finish the project on that one day, instead of taking all summer as Tim had expected. Stacey’s contribution also enabled Tim to get his Eagle Scout Badge before his eighteenth birthday. Stacey Marcell is a licensed arborist and degreed horticulturalist, with a B.S. from the University of Wisconsin in Madison. Her deep knowledge of plant care, landscape design and property maintenance maximizes the health, longevity and beauty of plants, shrubs and trees. 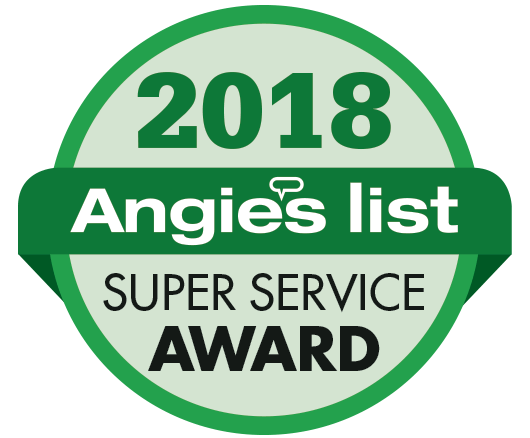 Stacey is committed to organic maintenance and is meticulous about choosing the right plants for the location and maintaining their care with eco-friendly solutions.